Is Social Your Thing? Tribal Impact Wants You! We're growing and looking to expand our tribe! If so, we'd love to hear from you! We're growing and, as a result, are looking for new talent to join our tribe. We're a social crowd and enjoy interacting, engaging and learning from others (digitally and in person). So, if you have a passion for all things social, read on! We're a young business - we launched in 2015 and thrive on the adventure of doing things differently and consider our customers a part of our extended tribal family. We practice what we preach; we're a social, employee driven business. We pride ourselves on flexible working where employees are given space to learn and develop. Some of us like to work from home. Others from coffee shops. We don't mind because we focus on outcomes and not hours spent sat in the office! The “Tribal Way” is how we do things – the foundations by which we operate. It’s how we behave, interact, enjoy our work and do right by our fellow members and our customers. More affectionately known as our “F words”, they’re here to guide us and remind why we're proud to be a little different. Which 3 resonate most with you? We need all kinds of skills (contract and permanent), at various levels (junior to senior). However, our priority is finding people who will thrive in our culture. 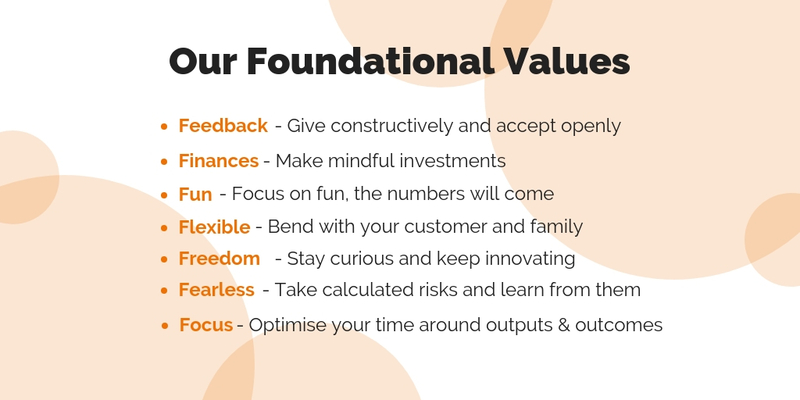 We know when we attract people who relate to and understand our business philosophy, they grow their role into one that adds value to our wider tribe. We're interested in people who feel that have something to contribute and are as passionate about social business as we are. We are currently looking to hire part time and full time Social Business Enablers. Our Social Business Enablers are digitally savvy, self-starting and hungry to learn. They have a broad understanding of inbound marketing and appreciate the impact social content can have on driving website traffic, conversion and lead generation within a B2B environment. They are responsible for enabling our customers to drive Social Business transformation and act as the flexible, multi-skilled extension of skills that our customers need. They directly support the Social Business Manager through the creation and optimisation of content deliverables, working with customers to define and drive project success. To coordinate, produce and deliver expert content for clients that is optimised using digital marketing best practices and supports the business goals of the client. To deliver an exceptional customer experience, inspiring confidence in the quality of Tribal Impact products and services. What Is It Like Being Part Of Our Tribe? We figured it would be a good idea to give you a taster of what to expect because things are done a little differently in our tribal camp. If this sounds like you, we'd love to hear from you. Complete the form and introduce yourself! Do What It Takes: It's no secret that we love our customers at Tribal. They're part of our team and we're part of theirs. You're comfortable with being empowered to make the decisions that do right by our team (that includes our customers). Flexibility To Make "Work" Work For You: We pride ourselves on flexible working - it works for our team and our customers. Maybe you walk the dog in the morning and take customer calls in the evening. We're cool with that if it works for everyone involved! Just Another Cuppa: You'll be comfortable with working alone and experienced in working as part of a virtual team. It's easy to get distracted when working remotely but you're focused on the deadlines you set yourself. "That's Great, Here's How We Can Make It Better": This is how you think. You'll bring innovation to the team, confidently contributing opinions and ideas on how we can improve and drive business growth. What Would My Peers Do? We believe in a culture based on trust. You understand and appreciate this freedom. You make mindful decisions centred around what's best for our customers and Tribal team. Crack On: We're fast movers. Our customers like it and it keeps us buzzing. Get comfortable with being uncomfortable because at Tribal you'll need to be a fast learner, quick thinker and and efficient doer. If you'd like to become part of the tribe or you're just interested to find out more, fill out the form below. We'll check out your profiles and be in touch if something comes up.